Precision medicine is something of a Holy Grail in healthcare: Being able to deliver personalized treatments to individual patients to best cure specific ailments is the ultimate in healthcare. While precision medicine is still fairly nascent today, one can look forward and see what’s coming down the line to change the way personalized health can be delivered. And though precision medicine is a tricky arena to predict, experts have their ideas on where the complex healthcare field is heading, and what the next generation of precision medicine will look like. The term “next-generation technology” has different connotations for different healthcare organizations, depending on where they are on the innovation continuum; but machine learning-enabled medical image analysis software should be at the top of the list, said Paul Cerrato, an independent healthcare writer who has collaborated on three books with Beth Israel Deaconess System CIO John Halamka. Similarly, Google researchers have demonstrated that a deep learning algorithm is more effective at diagnosing diabetic retinopathy than experienced eye doctors and residents. That feat was accomplished by using the software to scan more than 11,000 retinal images. Additionally, hospitals need to find a way to integrate genomic data into their EHR systems so doctors can gain quick access to this data at the point of care and advise patients on how it should impact their treatment, Cerrato said. "Most doctors are ill-prepared for [patients with genomics data] now, but they must prepare for this to remain viable and competitive in a market where con"
While most of the actionable data today is in the field of cancer care, there is another area that is probably more important for primary care physicians and will eventually have a larger impact in clinical outcomes: Pharmacogenomic testing. But the scientific evidence to support the value of these tests is growing rapidly – to be ready for this future, providers should have the genomic testing in place, he added. Joel Diamond, MD, chief medical officer of Allscripts subsidiary 2bPrecise, said there will be a continued “greater-than-exponential” rise in the new types of -omics information. Elsewhere, healthcare will see the rapid rise of consumerism, forcing more transparency and competition in the provider market, Diamond added. And gene therapy is another promising next-generation functionality that will change the way care is delivered, he added. "As [SMART applications and FHIR interfaces] evolve, the ability to ‘write once, run anywhere’ could be as significant to medicine as HTML has been to general applications." A key function of operationalizing precision medicine is the ability to access genetic test results from the clinical context, within the existing workflow, whether the results are stored in the EHR or an ancillary system like a PACS or medication management system. This will require interoperable IT tools and application programming interfaces that are able to integrate genomic data for use with existing systems without significant IT development or impact to existing system performance, said Don Rule, CEO of Translational Software, a genomics clinical decision support and precision medicine company. “APIs developed using the Fast Healthcare Interoperability Resources specification, an open-sourced standard based on HL-7 for exchanging health information to ensure interoperability and security, can facilitate integration of genomics data and test results seamlessly and cost-effectively to deliver on this ability at the point of care,” Rule said. 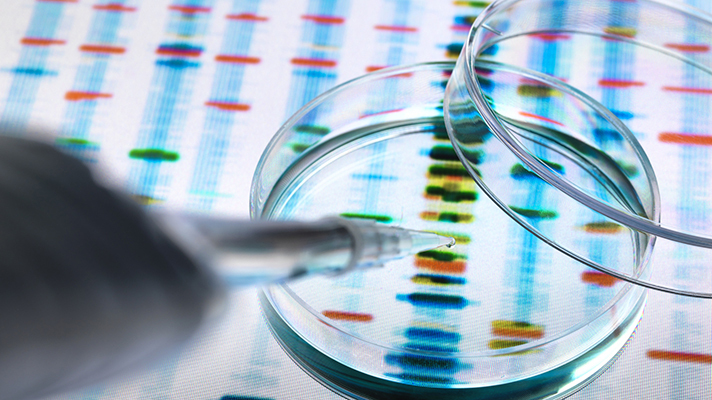 The ability to plug in new forms of clinical decision support and other healthcare apps that make data useful within the clinical context is another next-generation precision medicine necessity, Rule said. SMART provides a common vehicle for authentication and authorization with the host system that allows a conformant application to function with any compliant EHR without specialized knowledge of the system.